The new guests for mini tour must embark the boat at 09:00 a.m. from Ece Saray Marina. 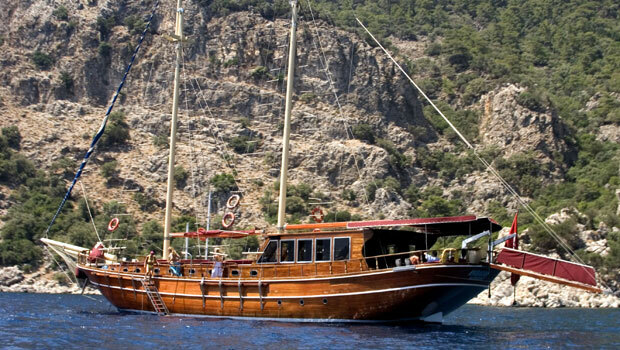 After breakfast, depart from Fethiye Harbor for Gocek Island. While moving through uniquely beautiful islands, we finally anchor at Yassica Islands. Lunch will be taken in this beautiful chain of little islands. Snorkeling in the crystal clear water is recommended. Dinner and overnight in a bay amongst the islands of Gocek. After breakfast, depending on the weather, depart early for Cape Kadirga with swim stops along the way. Kadirga Bay is a quiet picturesque location where we'll spend ample time swimming. This little bay is a paradise for snorkeling fans. Tea is served at 5 pm somewhere in the vicinity of Cennet Island. Afterwards we sail to Marmaris port. Overnight stay at Marmaris Harbour. 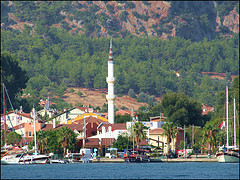 Guests wishing to see more of Marmaris are recommended to go to the city center and experience the lively night life.